Or: "How To Wear Shorts Without Wearing Shorts." 1. A v-neck romper guaranteed to trick everyone into thinking you're a hotshot fashion blogger. "Get this romper from the link in bio!" —you, in this romper. Get it from Amazon for $19.39 (available in sizes S-XXL and two colors). 2. A cozy romper revered by Spongebob Squarepants. He once said, "the best time to wear a striped romper is all the time." Get it from Amazon for $12.99+ (available in sizes S-XL and five colors). 3. An off-the-shoulder romper you'll never want to take off. Although you really sometimes should. For laundry and showering purposes, of course. Get it from Forever 21 for $22.90 (available in sizes 0X-3X). 4. 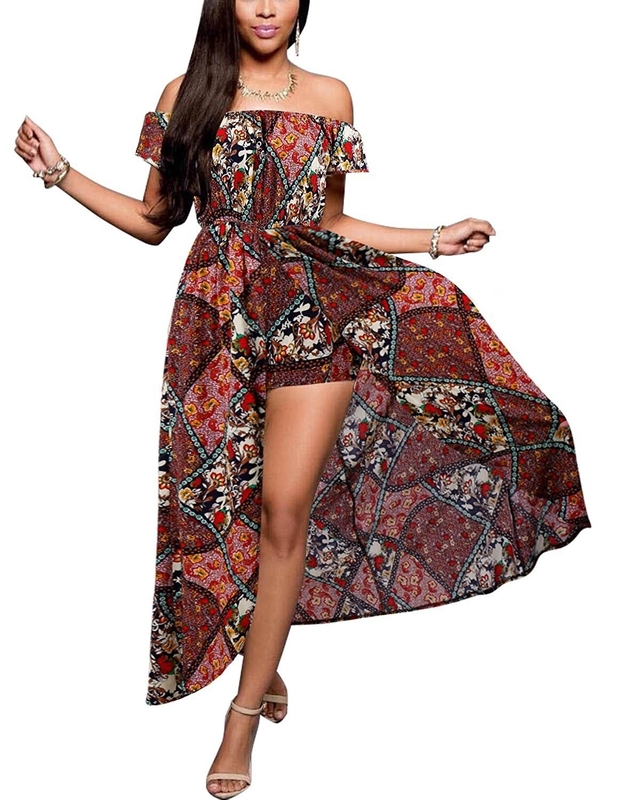 A sleeveless romper taken directly from your "boho chic" board on Pinterest. Get it from Amazon for $13.18+ (available in sizes XS-L and 16 colors). 5. An undercover romper trying to pass itself off as a dress. I've heard it's a 21 Jump Street kind of scenario. Get it from Amazon for $22.44 (available in sizes S-3X and 8 colors). 6. A short-sleeved romper that cinches at the waist and makes your curves say, "HELLLLOOO." 7. A gorgeous romper with a Mariah Carey obsession. It, too, wants you to spread your wings like a butterfly. 8. A cold shoulder romper designed to become your new go-to LBR: Little Black Romper. Get it from Charlotte Russe for $18 (available in sizes 1X-3X). 9. 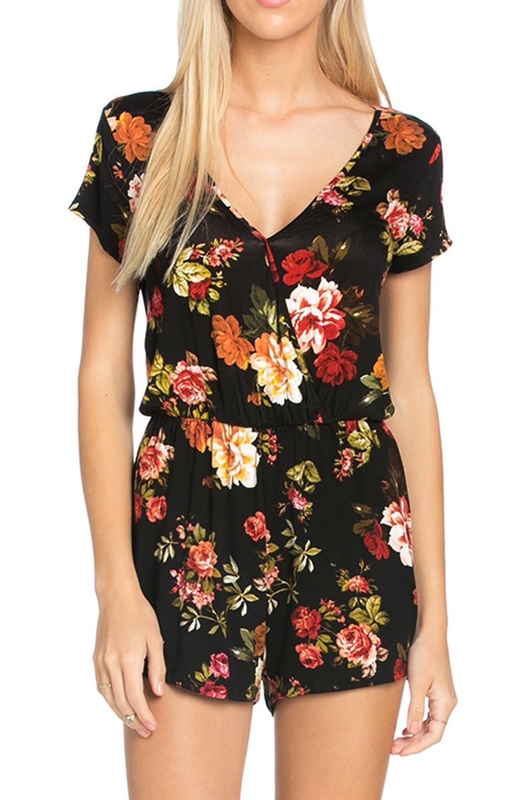 A floral romper you'll want to wear all summer long. It'll make the idea of winter seem even more daunting. "No season will ever tear us apart!" —me, professing my love to this romper. Get it from Amazon for $16.99+ (available in sizes 0-10 and two colors). 10. A sleeveless romper with pockets. Need I say more? Get it from Amazon for $16.99+ (available in sizes 16-24 and three colors). 11. A woven romper you should wear if your heart says vacation, but your bank account says "eat ramen." 12. A shoulder-showing romper that's just begging you to grab your fedora and travel the world. As if my wanderlust wasn't bad enough. Get it from Amazon for $15.99 (available in sizes S-XL). 13. A striped romper perfect for casual beach strolls and we're-taking-pictures-look-nice dinners. Get it from Amazon for $9.99+ (available in sizes S-XXL and four colors). 14. A ruffled romper that'll show off your beautiful neckline. Necklines are the window to the soul, after all. 15. 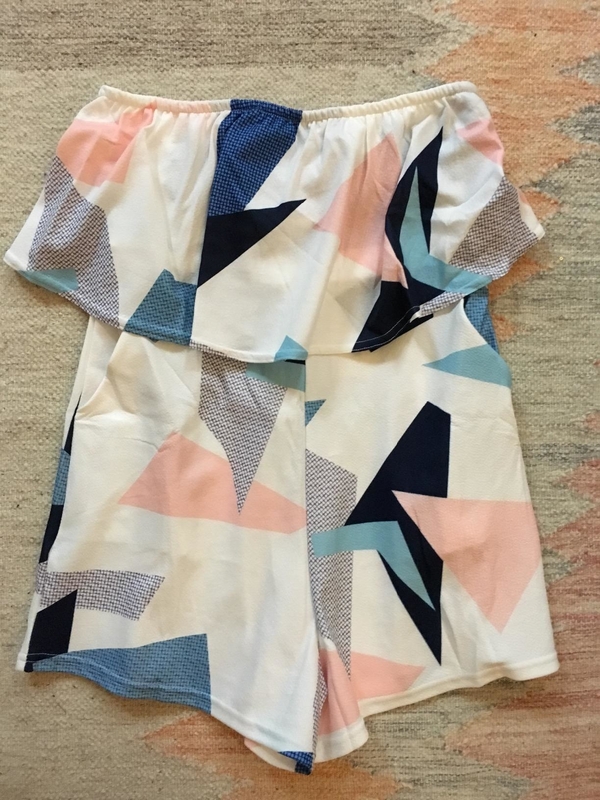 A trendy romper available in a bunch of abstract patterns. Fair warning: it does not like to be worn. It would rather be displayed. Museum-style. Get it from Amazon for $4.99+ (available in sizes S-XL and seven colors). 16. 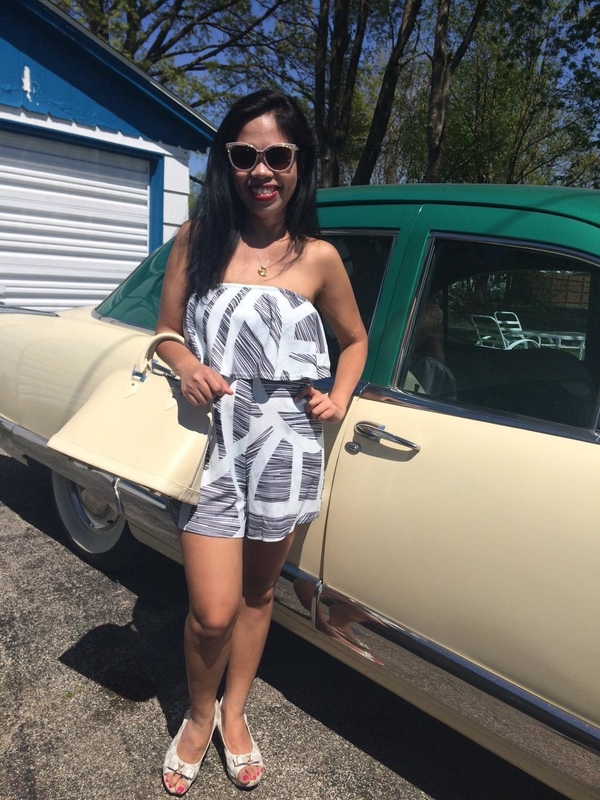 A tie-back romper that'll make you feel cozy, despite the scorching heat outside. Get it from Boohoo for $26 (available in sizes S-L and three colors). 17. A pineapple romper sold exclusively at this little boutique in Bikini Bottom. The owner tends to be a little krabby. This is my last Spongebob reference, I swear. Get it from Boohoo for $24 (available in sizes 4-10). 18. A chambray romper for the person who would like to pay homage to the jeans that got them through the winter. "You kept me warm during the coldest of months, and I will never forget that..." —me, breaking up with my jeans for the summer. Get it from Hollister Co. for $19.98 (available in sizes XS-L). 19. A maxi romper that only looks like a dress. I guess you can call it a Pretty Little Liar. Get it from Charlotte Russe for $32.99 (available in sizes XS-XL and three colors). 20. 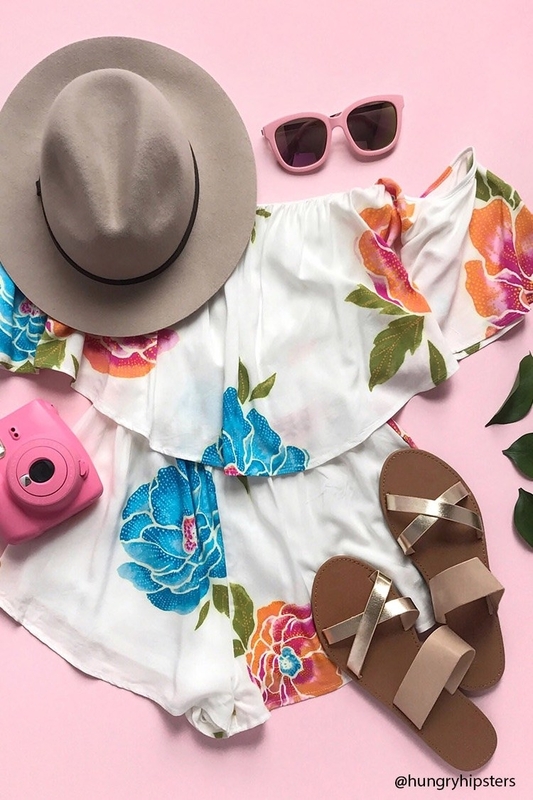 A tropical print romper guaranteed to have you book an all-inclusive vacation. Caribbean, here I come! "I don't think this is going to work out..." —my credit card breaking up with me, after I book this all-inclusive vacation. Get it from Forever 21 for $14 (available in sizes 0X-3X). 21. A red romper that'll have your admirers singing "Lady in Red" whenever you enter a room. I feel like that kind of attention would be overwhelming, but that's just me. Get it from Missguided for $24 (available in sizes 0-10). Get it from Amazon for $22.99 (available in sizes 4-12). 23. A tie dye romper that demands to be paired with a good pair of booties. Apparently, it likes to look like a badass. Get it from Tobi for $30 (currently 50% off, available in sizes XS-L). 24. A pompom romper guaranteed to brighten your day. I guess you can say that it'll make it feel sunnier. Get it from Amazon for $14.99 (available in sizes S-XL). Should I have included a RompHim? Okay, I lied. This is my last Spongebob reference.